I'm back with another Boxycharm unboxing. Boxycharm is a monthly beauty subscription box that features nail, hair, and skin products, but mainly cosmetics. Each box includes high end and/or affordable brands that are full size or deluxe sample sizes. 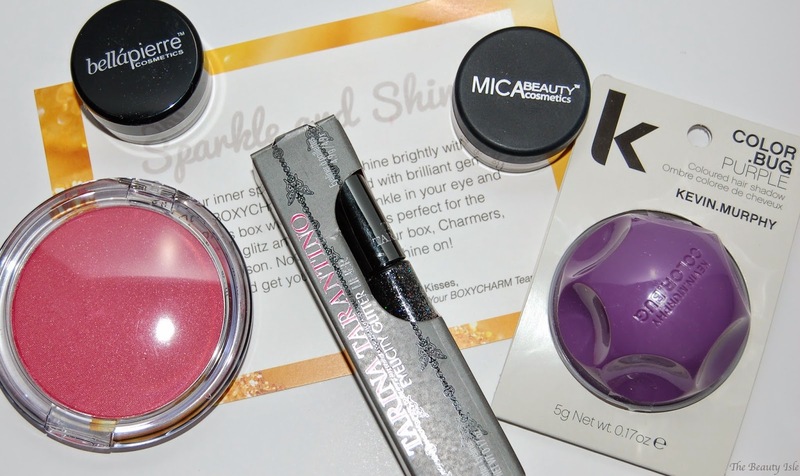 You can see my thoughts about my September Boxycharm box HERE. The theme of the November Boxycharm Box is Sparkle and Shine...definitely appropriate for the upcoming holiday season. 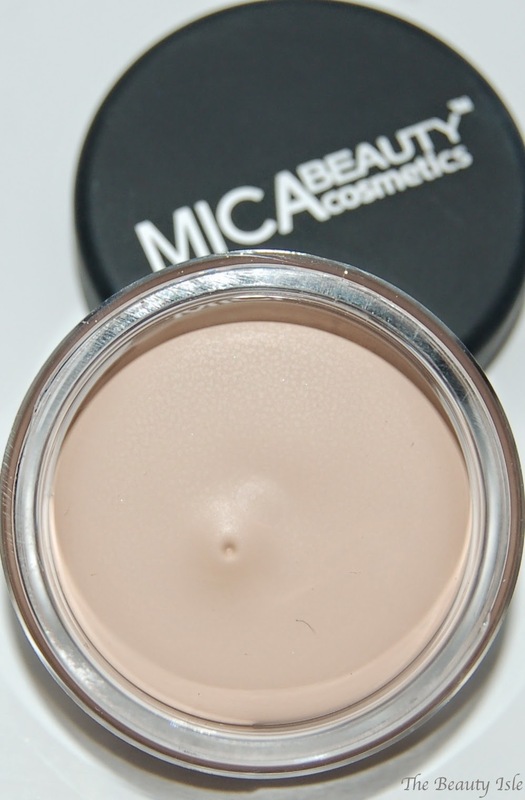 This is a waterproof eye shadow primer. It's amazing that this is worth $44.95, that's over twice the price of the box! I received the shade Paradise Pink. 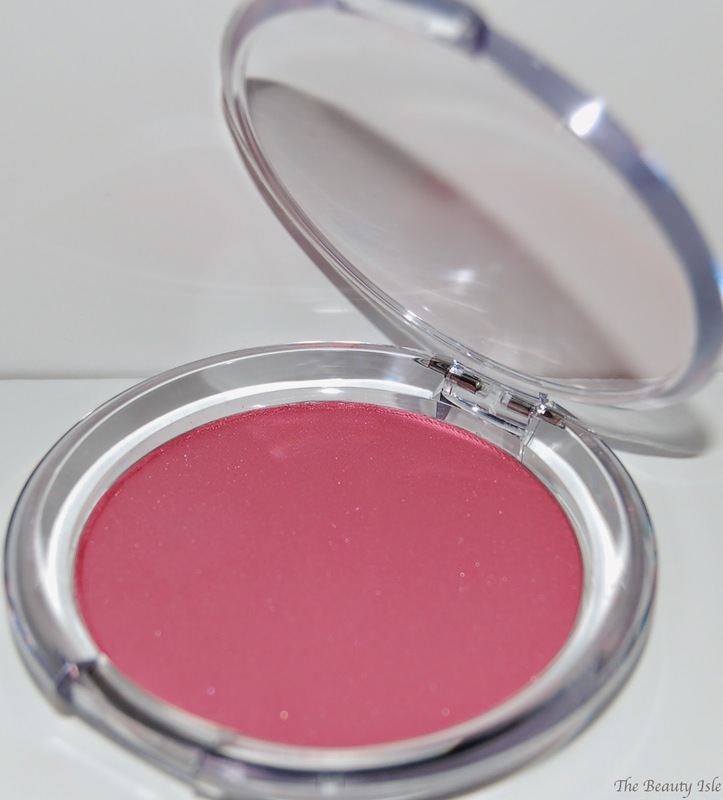 Look at the color of this blush! 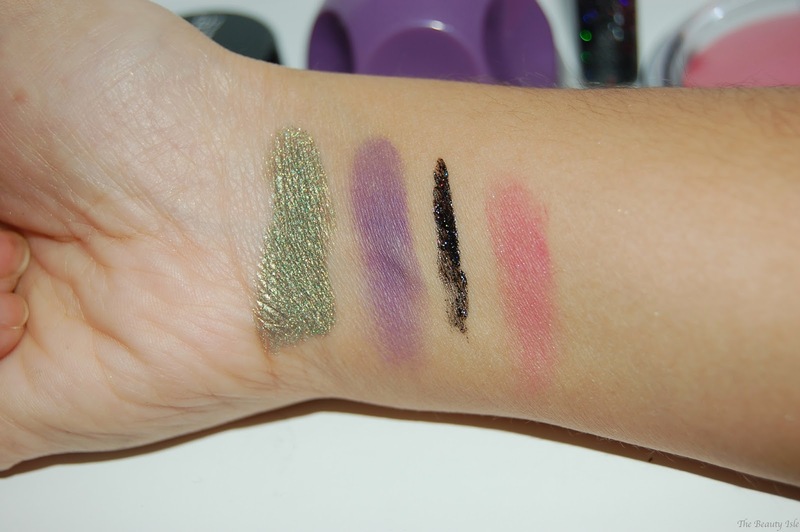 It's super pigmented and blends really well. I recommend applying this with a stippling brush to ensure that you don't overdo it on color. Swatch is below. This is such a pretty black glitter liner. The black isn't completely opaque so this would probably show up best over an eye shadow or a plain black eye liner which is how I plan to wear it this holiday season. I did hear that the gel formula may have separated from the glitter in shipment. If that happened to your tube just swirl the brush in your tube a few times and you should be good to go! Swatch is below. 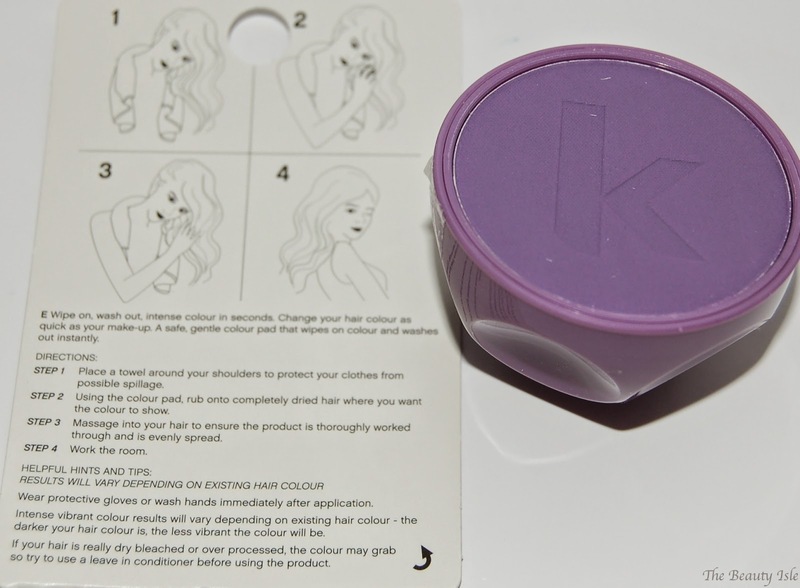 This is pretty much a hair chalk. I'm really glad I got purple since it's my favorite color. I did try this on the ends of my hair which are lighter and it showed up well. The color is easy to apply and it washes right out in the shower. Swatch is below. 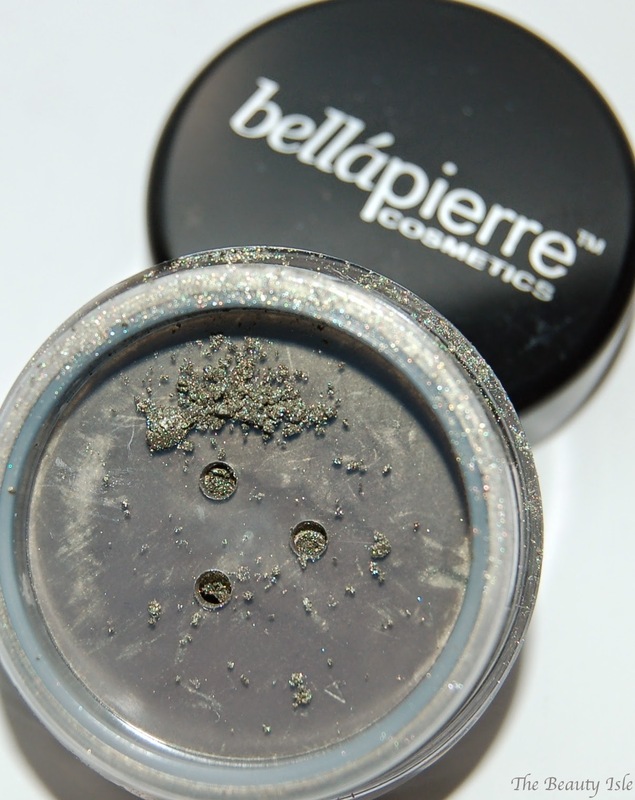 This is a loose shimmer eye shadow on the shade Reluctance which is an olive green with a gold undertone. It's absolutely gorgeous! Each Boxycharm Box costs $21, shipping is free, and you can cancel your subscription at any time. As you can see, I received 5 full size items and the retail value of this box is $120! That's 5 times the cost of the box! Boxycharm is hands down my favorite beauty box from all the ones I've seen! This beauty subscription service is more focused on makeup than most other beauty boxes. Not to mention it's the only one with so many full size products in each box! Disclaimer: I received this product for review, however all statements are 100% honest and my own. What's your favorite item from this box?